Cachiccata trek is an outstanding trekking route that allows travelers not only to visit ancient archeological sites but also to explore modern day Inca communities and local traditions that have been kept alive for centuries. 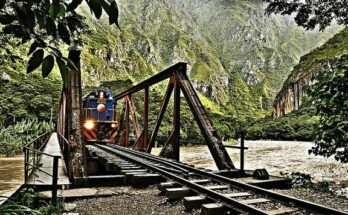 This journey takes us through Inca sites, waterfalls, ancient terraces with breathtaking views of the Sacred Valley and imposing snow-capped mountains. 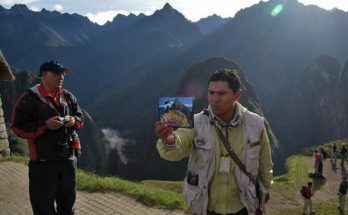 Finally, we finish the adventure with a guided visit to the “Lost city of the Incas”, Machu Picchu. We leave Cusco and drive for about one and a half hours to Racca located in the Sacred Valley of the Incas. First we hike up to Ñaupa church which was once an Incan shrine place. 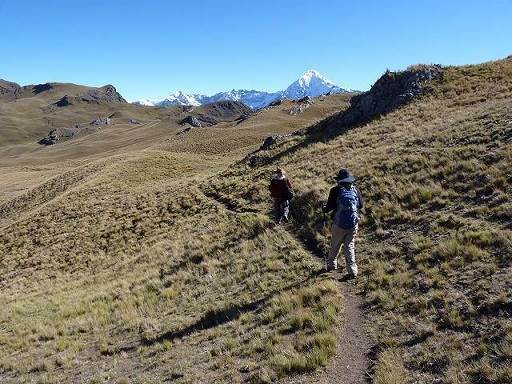 We continue our hike uphill heading towards the Soccma community, nested in the heart of the Andes. In this point we meet our porters and horses who will travel with us during the whole trek. After a picnic lunch we continue hiking uphill towards Piruchayoc, which has an amazing view of the Soccma valley, Maras tableland and Chicon snow-capped mountain. After breakfast we start walking following an old Inca water channel; the trail goes up to Ccorimarca valley through ancient terraces locally known as “Andenes”, where the locals are still growing crops. We hike up to our first pass from where we have a stunning view of the snow-capped mountains of the Urubamba mountain range (Veronica, Chicon, Ausangate, Pachatusan and Salcantay) and the fields of the Sacred Valley below us. We continue through the small valley of Chancachuco, where we have lunch next to the Andean lake of Maracocha. Here it is possible to admire Andean birdlife, such as the Andean goose, Cara Cara, Andean flicker, among others. We continue downhill to our next campsite, which has a spectacular view of the snow peak Huayanay, located in the Vilcabamba range. We also have the opportunity to visit a local family house whose economy is based on potato farming and sheep herding. Early in the morning, we head to the second pass “Apu Buena Negra”. From this point we have a spectacular view of the Sacred Valley of the Incas and the snow peaks of the Urubamba range. After resting in this beautiful spot we start hiking down until we reach the Inca water channel coming from Maracocha Lake. From here we can see Intiwatana temple, located in front of the Veronica Mountain, where traditional pagos (offerings to mother earth) are made. We also have a great view of the Pakaritampu pyramid. 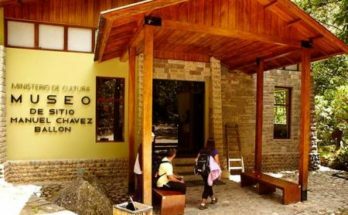 We continue the trail down to the archaeological site of Choquetacarpo, where we have lunch. After this, we walk downhill to visit one of the biggest Inca quarries in Cusco, which once supplied stones for the town and the famous fortress of Ollantaytambo. Tonight we sleep in a beautiful campsite owned by a group of local young people from the Cachiccata community, hot showers and proper toilets are available. After breakfast we head to Ollantaytambo where we take the train to Aguas Calientes. We visit the magical citadel of Machu Picchu with a professional guide and then we have some time to explore it by ourselves. In the afternoon we take the train that goes back to Cusco. Private transportation from Cusco to the start point of trek and from end of the trek to Ollantaytambo train station. All common camping gear: Mountain tent, mattress, kitchen dishes, kitchen tent, dining tent, toilet tent, table and chairs.